While traditional savings accounts have their advantages, a CD investment is often a preferred alternative. 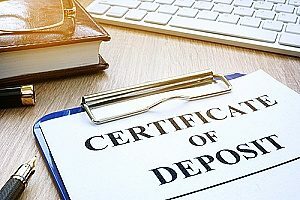 A certificate of deposit (CD) is one of the safest investment opportunities offered by banks and credit unions. This type of savings account has a fixed interest rate and fixed maturity date. There are generally no monthly fees and the funds are insured through the Federal Deposit Insurance Corporation (FDIC). Unlike a savings account in which you can freely deposit and withdraw funds, a CD investment requires you to leave your money in the bank for a set amount of time. If you are considering investing in CDs, here are a few important benefits to take advantage of. Much like a savings account, a CD allows you to deposit money into an account which then earns interest over time. To open a CD, you will need to contribute a minimum opening deposit. Depending on the institution you choose, this amount can range from $50 for standard CDs up to $100,000 for jumbo CDs. However, the average deposit amount is between $500 and $1,000. The ability to contribute a lower starting deposit can be beneficial for investors who wish to start small and grow their savings over time. Other investment opportunities like real estate and the stock market can be unpredictable. A CD investment allows for a safer savings plan as the outcome is much more predictable. With a CD, you can lock in a fixed interest rate for the life of the product, allowing you to better measure the growth of the account. CDs offer slow and steady interest growth. CDs also come with various maturity dates that allow you to align your withdrawal date with your financial goals. When it comes to a CD investment, you have several excellent options to consider. A fixed-rate CD is one of the most popular as it has a set interest rate that is paid through the life of the CD. A variable-rate CD pays a percentage based on the difference between the interest rates at the start and end of the term. You may also choose an adjustable-rate CD which has a set interest rate at the time of your deposit but with the option to “adjust” the rate during the CD’s term. A CD investment typically comes with better returns that you would possibly acquire with a traditional savings account. 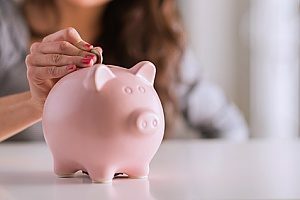 This is because unlike a regular savings account in which you can withdraw your money at any time, a CD account requires you to keep your funds in the bank for a set amount of time. As banks see a CD investment as a more valuable investment option, they often pay investors a higher yield. How much interest you could potentially earn will depend on a variety of factors, such as your unique terms and rates. Much like cash in a traditional savings account, any funds that you deposit into a CD account remain safe. However, to be sure, check that your deposits are FDIC-insured if you are using a bank, or covered under NCUA insurance if you use a credit union. These insurances provide a government guarantee that you will receive all of your money back if the bank or credit union suddenly goes belly-up. As far as savings accounts, a CD investment is fairly low-risk. As you get to choose the terms and maturity date for your CD investment, you have even more control over your finances. If you are a business owner or entrepreneur, you may discover a range of useful account features which make a CD investment a good choice for your company. One of the biggest benefits of a CD account is the high interest rates offered with interest that is compounded daily. You may also enjoy other great account features, such as free electronic transfer of interest, auto renewal with grace period, and terms that range from several months to years. Businesses can also take advantage of a CD guaranteed return on investments. A certificate of deposit is a valuable tool for building interest from your money. 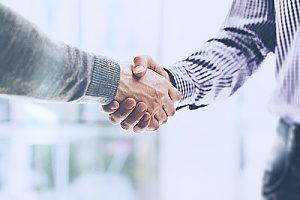 It is essentially a contract with your bank or credit union in which you promise not to withdraw funds from the account within a set time period. In return, the bank or credit union pays out a higher interest rate which you can withdraw on the account’s maturity date. As a general rule of thumb, the longer the terms of the CD, the higher the interest rate will be. For more information about the benefits of a CD account, or to open a business or personal checking account, contact FVCbank.